For about six months, starting in late 2012, Valerie Gaus found herself much busier than usual. The New York area psychologist sees adults with autism, and a number of them suddenly seemed to be grappling with a new set of anxieties. They brought up their fears over and over again in their sessions. It seemed, Gaus recalls, as if they felt the sky was falling. Some of Gaus’ clients were afraid they would lose their insurance coverage and would have to be re-diagnosed. Those concerns were relatively easy to dispel: Gaus explained that many insurance carriers use codes from the International Classification of Diseases (ICD), which still distinguishes between the various conditions. “I would pull out insurance forms to show my clients and say, ‘Look, all along you’ve been coming here, I’ve been billing using ICD codes — which I will continue to do,’” she says. But many clients had abstract worries that were more difficult to assuage. For instance, people with a diagnosis of Asperger syndrome felt they were being robbed of their identity. Many had been diagnosed late in life after years of unexplained challenges. Receiving the diagnosis had given them feelings of closure and belonging within a community of people with similar difficulties. “The diagnosis provided them with a sense of relief, an explanation of what they had struggled with,” Gaus says. Now they were worried they were losing their footing all over again. As it turned out, the manual’s publication was “anticlimactic,” Gaus says — at least for people like her clients: After it was released in May 2013, no one lost services, and the billing systems continued to work as they always had. Even though ‘Asperger’s disorder’ and ‘PDD-NOS’ faded from clinical use, people formerly diagnosed with those conditions continued to use them socially. They told Gaus the terms helped them preserve what they felt they had gained from those diagnoses. In the research world, by contrast, opinions about the manual followed a different course: Researchers were also apprehensive about the DSM-5’s proposed changes beforehand — but their initial concerns ignited into a fiery debate that is still smoldering today. One side argued that the DSM-5 criteria represented a move toward standardizing autism diagnoses. The other maintained that the manual was a disastrous mistake that would cut some people off from the help they needed. The argument launched an avalanche of research, and after five years, the results are starting to trickle in. They show that both camps were right. The DSM-5 did indeed bring about greater diagnostic consistency: Clinicians at independent sites are now more likely to arrive at the same conclusion. At the same time, though, the criteria appear to exclude certain segments of the autism spectrum: people who are mildly affected, and older adults and girls, who may be better at masking their traits. By the time the DSM-5’s autism committee began writing the manual’s autism chapter, it was clear that the prior edition’s criteria could stand some improvement. There was growing concern among experts that there was little consistency in how clinicians at different sites distinguished among autism, Asperger and PDD-NOS. The diagnoses people received varied according to their age, address, access to services and even the clinician’s or parents’ comfort levels with a label. “It was clear that the same child could get a PDD-NOS, Asperger or autism diagnosis from different people, depending on who diagnosed them,” says Catherine Lord, director of the Center for Autism and the Developing Brain at New York-Presbyterian Hospital, and a member of the DSM-5’s autism committee. “It was also clear that kids could get a different diagnosis at different points of their lives,” Lord says. The outcome also depended on the goal. In states such as California that provided services for children with autism but not Asperger syndrome, families pushed for the former diagnosis, Lord says. In places such as New York City, which provided services for both diagnoses, parents often lobbied for an Asperger diagnosis, worried that the ‘autism’ label would dampen their child’s chances of getting into a top school. The committee set out to create criteria that would be less subjective and balance sensitivity (identifying anyone who should qualify for a diagnosis) with specificity (excluding those with other conditions). The group planned to set up clear guidelines and definitions for clinicians and, crucially, to merge the three conditions into one. And because there were overlaps in the descriptions of some traits, the new criteria folded the diagnostic triad of social interaction impairments, social communication difficulties and restricted or repetitive behaviors into a dyad of requirements: social communication problems and restricted interests and repetitive behaviors. As a result of these revisions, the single diagnosis would encompass the entire spectrum, from nonverbal, intellectually challenged people to those with high intelligence quotients (IQ) and mild social challenges. To distinguish between these far-ranging degrees of impairment — and the types of services someone should receive — the committee also created a ‘severity table’ that spells out three levels of need. The new criteria deliberately gave diagnosticians less leeway. For example, the previous version, the DSM-IV, let clinicians pick and choose any 6 items from a list of 12 to make a diagnosis. 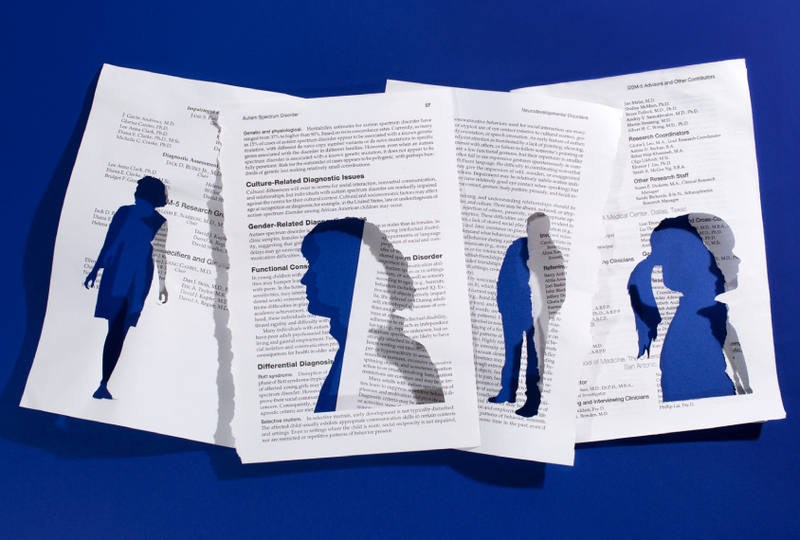 This flexibility earned the list the nickname ‘the Chinese menu.’ The DSM-5 offers fewer options with firmer rules — among them, the specification that someone show at least two of four restricted and repetitive behaviors. Some scientists — including a few committee members — found the guidelines too stringent. Although the criteria’s specificity was good, they said, the sensitivity was too low and would end up excluding some people on the spectrum. 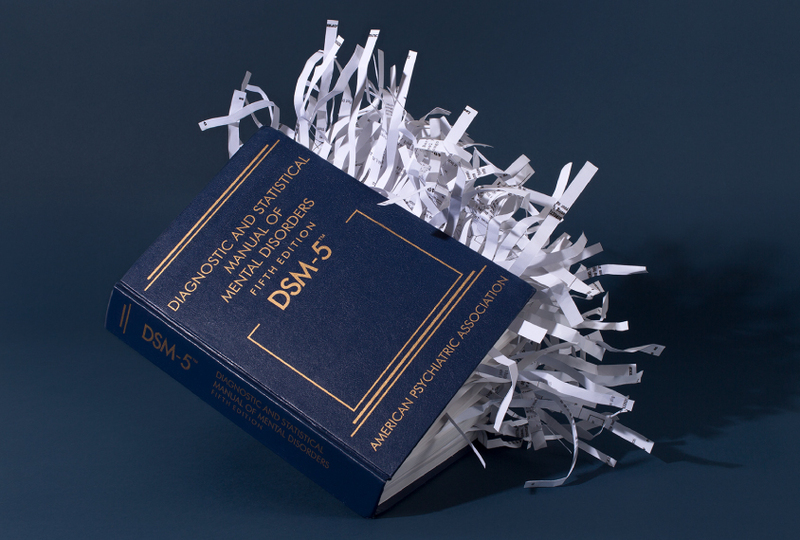 In a 2012 study, committee member Fred Volkmar and his colleagues compared the specificity and sensitivity of the DSM-IV with those of the draft DSM-5 criteria. They reported that only 61 percent of people who met autism criteria under the DSM-IV criteria did so with the DSM-5. The subgroup of people diagnosed with Asperger syndrome showed the greatest discrepancy, with only 25 percent retaining their diagnosis. Overall, the new criteria seemed to discriminate against those with high cognitive ability. Although anyone who already had a diagnosis of Asperger’s or PDD-NOS was guaranteed an autism diagnosis under the DSM-5, the criteria would exclude those yet to be diagnosed, Volkmar pointed out. Supporters of the DSM-5 criticized the study, saying it is misleading to compare old test scores with the new criteria. For example, sensory problems are among the four behavioral items clinicians can choose from in the DSM-5, but the DSM-IV criteria did not address sensory sensitivity. Volkmar ultimately resigned from the committee. But within a few years, several retrospective meta-analyses added weight to his argument. One review considered 25 studies that evaluated various groups using both manuals. The majority of those studies found that only 50 to 75 percent of the people diagnosed under DSM-IV criteria would maintain diagnoses under the DSM-5, and people at the mild end of the spectrum stood an even lower chance. 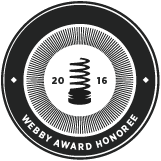 A 2016 meta-analysis came to the same conclusion. Whether his long-term predictions pan out or not, researchers now have five years’ worth of diagnoses to begin to analyze the DSM-5’s true effects. Ironically, the DSM-5 may have made it more difficult to identify girls with autism just as researchers were beginning to realize that the manuals had excluded them for decades. Like Mazurek, clinical psychologist William Mandy pins this lowered sensitivity on the DSM-5’s stricter requirements — particularly for repetitive behaviors, which are more prevalent in males with autism. Mandy also notes that the DSM-IV had a place for people with social communication difficulties but whose repetitive behaviors didn’t meet the diagnostic threshold for classic autism. “That was the PDD-NOS category,” he says. Some of those individuals may now be left out. That kind of adaptation may also be important to consider in college students, says Susan White, co-director of the Virginia Tech Autism Clinic, where she works with young adults and students on the spectrum. Thanks to their intellectual aptitude, skill at camouflaging autism traits or their parents’ help, some people on the spectrum remain undiagnosed throughout their childhood. When they start living independently, perhaps on a college campus, they can face great difficulty. “We need, as clinicians and educators, especially in college settings, to be aware that someone could come to college non-diagnosed,” White says. The DSM-5 could miss such students, she says. Some advocates for people at the other end of the spectrum are also unhappy with the DSM-5. The manual’s criteria for autism are too inclusive and have made the diagnostic label meaningless, says Alison Singer, president of the Autism Science Foundation, whose daughter has autism and severe intellectual disability. “It’s so broad, there are so many people under the big tent of autism, that people in the tent have nothing in common with each other anymore,” she says. The media’s portrayal of autism is skewed toward the highly capable but quirky genius, and the other end of the spectrum is being forgotten, Singer says. The DSM-5’s autism criteria might still be improved in terms of sensitivity and how they convey levels of impairment, some experts say. The ICD-11 draft also helps to close some of the DSM-5’s diagnostic gaps, Mandy says. In particular, it acknowledges that individuals with autism and no intellectual disability may come to clinical attention later in life or be diagnosed first with anxiety or depression. It also puts a greater emphasis on camouflaging, which may bring the phenomenon to the attention of more clinicians. Because later diagnoses and camouflaging are both more common among women with autism, he says, the additions could help to ensure that more women with autism are identified. For all the draft does right, however, it doesn’t solve the ongoing debate about terminology. “There continue to be questions of whether there should be different terms for people with different skill levels within autism,” Lord says. The severity levels included in the DSM-5’s criteria are supposed to help determine the level of support an individual needs, but they don’t give families a simple way to describe their child’s condition. “They feel that if there were a different term for their kids, it would be helpful,” she says. It’s not clear what will happen when the Asperger label vanishes from the ICD-11 this year – but it’s unlikely to upset Gaus’ clients as much as the DSM-5’s deletion did. “There has not been as much buzz about ICD-11,” Gaus says, noting that the draft includes a category — ‘autism spectrum disorder without disorder of intellectual development and without impairment of functional language’ — that sounds a lot like Asperger syndrome. Nor is she worried that the billing codes for her clients will change any time soon. “[U.S. insurance companies] did not begin using ICD-10 until 2015 even though it was published in 1990,” she says. For the time being, it seems, her clients can leave their anxieties behind them.